Want to take a quick breather and drink in the skies’ beautiful sceneries? With over 20 variants, the Piper PA23 Apache continues to be among flyers’ and pilots’ favorites when it comes to short range flights. This is one suitable aircraft if you’re particularly rushing to reach a meeting across town. If you simply want to have a leisurely ride along the skies, a charter for this aircraft would also be ideal. This plane can seat up to 4 passengers and can fly within a 1,200 kilometer radius. The Piper PA23 Apache’s interiors may also be customized depending on the plane owner’s preferences. To gauge the level of comfort you’ll experience while on board the Piper PA23 Apache, it’s advisable for you to ask about its interior features. At the very least, the standard plane would have sleek seats which may include cup holders. As you charter for the Piper PA23 Apache on your short range flight, you’ll find how no space is wasted in crafting the plane’s interiors. The windows were also installed, in a way which you’ll have the fullest views of the skies, landscapes and seas you’ll be flying over. If you’ll need to get across the city, you’ll discover how this plane is much more convenient instead of having to sit through hours of traffic. Now you can avoid traffic jams or lengthy road trips, by reserving for a flight on this plane. 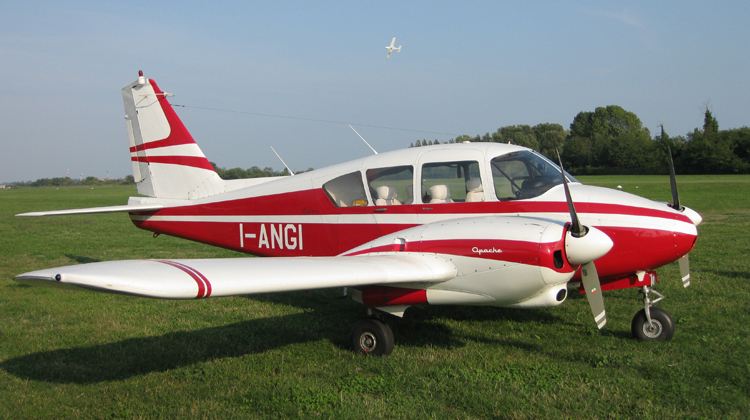 If you’ll be coming from Ontario, did you know you can reach Missouri in the United States, aboard the Piper PA23 Apache? This can be telling of how far you can fly with this Lycoming-engine powered aircraft. To make the most of your flying range and if you’re up for a leisurely ride, you may coordinate with your charter about the plane’s capacity. Your flight’s distance will most likely be determined by how many passengers will be on board. With a steady pace, you can also go sightseeing on this aircraft. Compared to most jets, being on board this plane gives you the chance to marvel on the sceneries which you’ll be flying over. 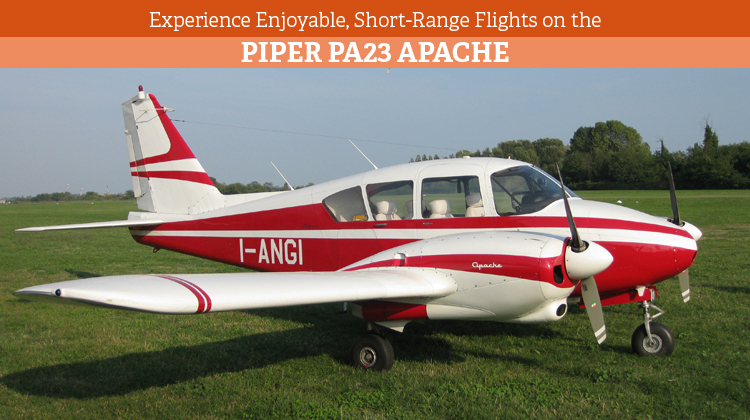 Since its first flight in the early 50s, the Piper PA23 Apache has had over 6,900 units flown around the world. This is inclusive of the plane’s variants, as over 16 countries have it in operation. Its 20 variants were upgraded and each specification was adjusted to serve various applications, including military operations. This twin engine aircraft even has its earliest formats showcased in historical institutions, such as the National Air and Space Museum in Washington D.C.